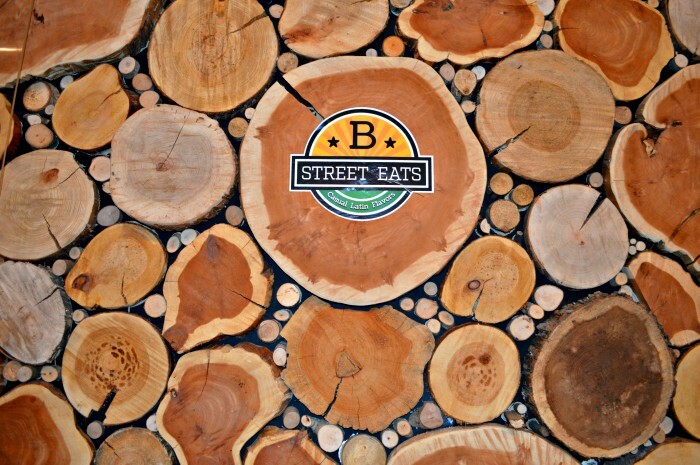 B Street Eats, recently opened on Edgewood right next to their sister restaurant, Maple Street Biscuit Company. 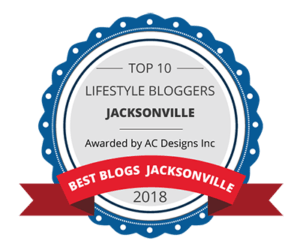 The casual Latin restaurant moved to Jacksonville from St. Augustine and is bringing a nice Latin feel to the Murray Hill area. 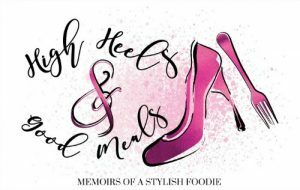 I had the pleasure of attending an Influencer dinner there last week and got to sample a lot of the items from their menu. Upon my arrival, I was immediately drawn in with the Latin music playing outside their establishment. It was fun, welcoming, and made me want to dance! I’m not sure if this will be an ongoing thing but I certainly hope it will. Because B Street serves food inspired by Latin and South American flavors, I was slightly surprised with their choice in interior design. I was expecting colorful decor synonymous with Latin culture but we didn’t get that at all. 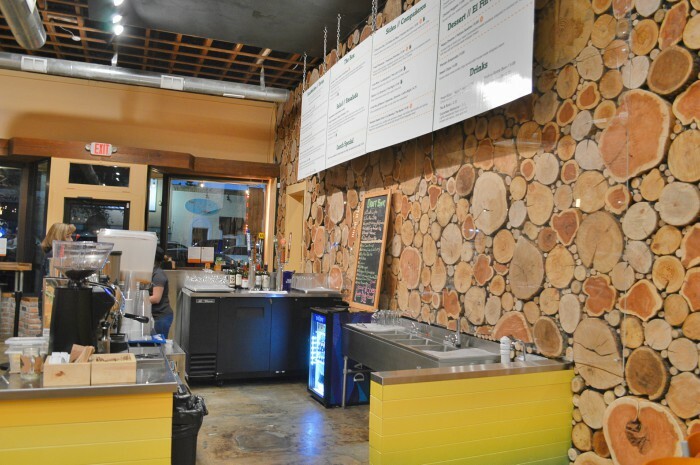 However, I have learned to expect the unexpected and I actually really love the wood walls. It’s different, pristine, and interesting. The dining space is very open with exposed brick walls, an open ceiling, and a spacious outdoor patio with heated lamps. It definitely has a fun and casual ambiance. It’s also nice to note that they serve alcohol! However, this particular evening I enjoyed the Cucumber Refresher, lightly sweetened fresh cucumber water, infused with lemon and lime juices, and mint leaves. It was refreshing indeed! To be honest, I wasn’t quite sure what to expect as I had never been to the B Street that was in St. Augustine. 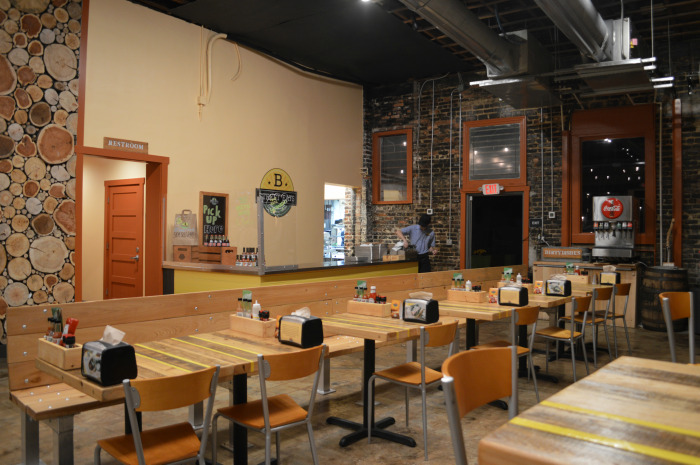 Knowing that the same company who opened up Maple Street Biscuit Company would be over B. Street, I was expecting tasty food, nonetheless! Overall, I was pretty satisfied. 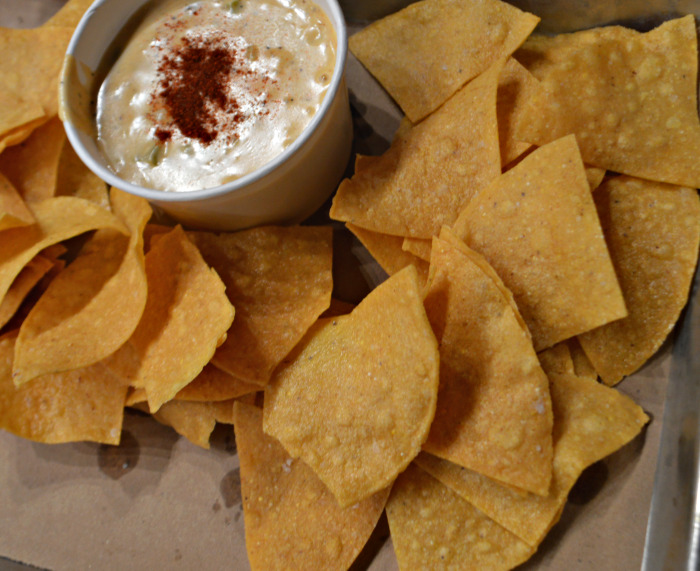 Everyone I spoke to before attending the event told me I had to have the queso and that’s exactly what we did first! This appetizer was very fresh and flavorful! 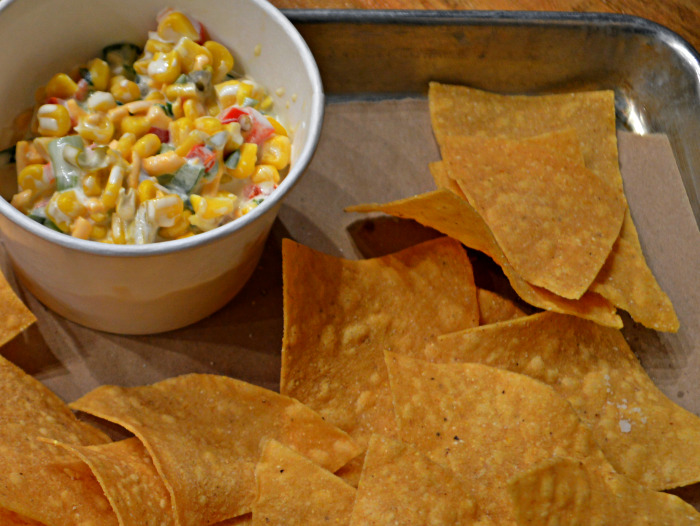 This creamy corn dip served with house fried corn chips are sure to be a crowd pleaser! Affectionately known as liquid gold, this stuff can easily become addictive. Made with Pepper Jack, White American Cheese, and Cream Cheese, it is definitely a MUST TRY! 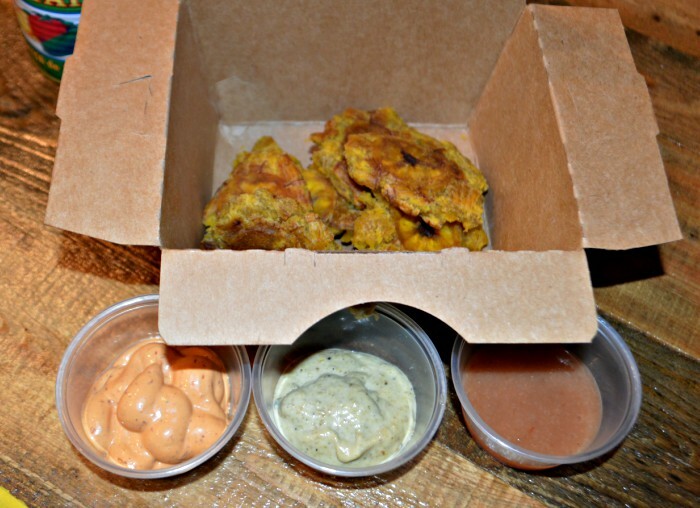 I’m usually not a fan of tostones but I have to admit, these little babies were pretty good. Perhaps it was the fact that they were bite size medallions or perhaps it was the signature dipping sauces: Smoky Ancho Chipotle, Spicy Jalepeno (my fav), or Plum Chutney. Whatever the reason, they were really tasty and I truly enjoyed them. 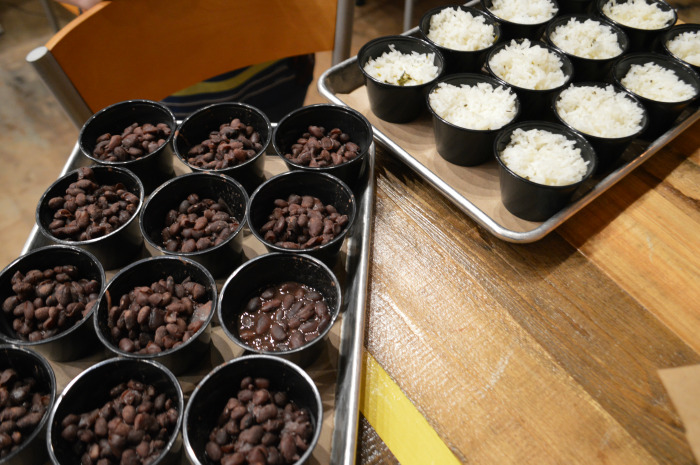 When eating Latin cuisine, it would be remiss if black beans and rice weren’t included. This dynamic duo packed a punch full of flavor! The jasmine lime rice was super fragrant and with the black beans, it felt like my tastebuds were having a party in my mouth! This was an interesting sandwich. 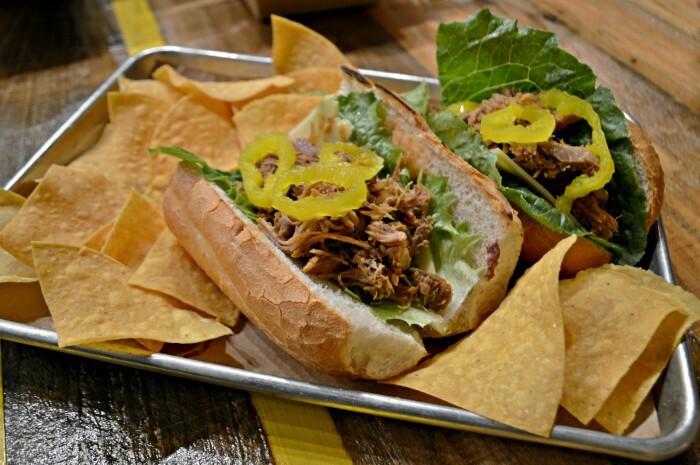 It consisted of 3-day marinated Caribbean pork, romaine lettuce, house-made plum chutney, brie and havarti cheeses, and pickled banana peppers, on a toasted French baguette. I was a little confused with the sandwich I got based on the name. It had all of what was mentioned but it wasn’t very cheesy. I was expecting a ooey-gooey, melty sandwich but I didn’t get that. The flavors were great but I think the cheese needs to be meltier to live up to its name. This was my favorite of the evening. 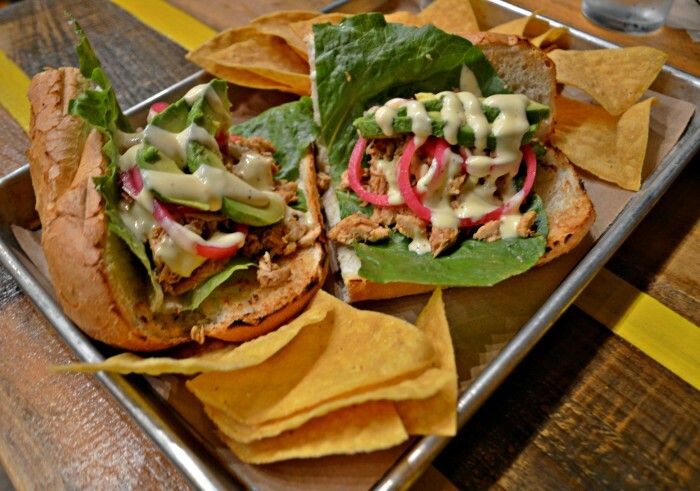 It consisted of coconut marinated all-natural grilled chicken, romaine lettuce, house-made pickled red onions, fresh avocado slices and house made mango mayo on a toasted French baguette. The mango mayo was unexpected and very tasty. It was perfect with the creamy coconut marinated chicken. I definitely will be back for this sandwich! 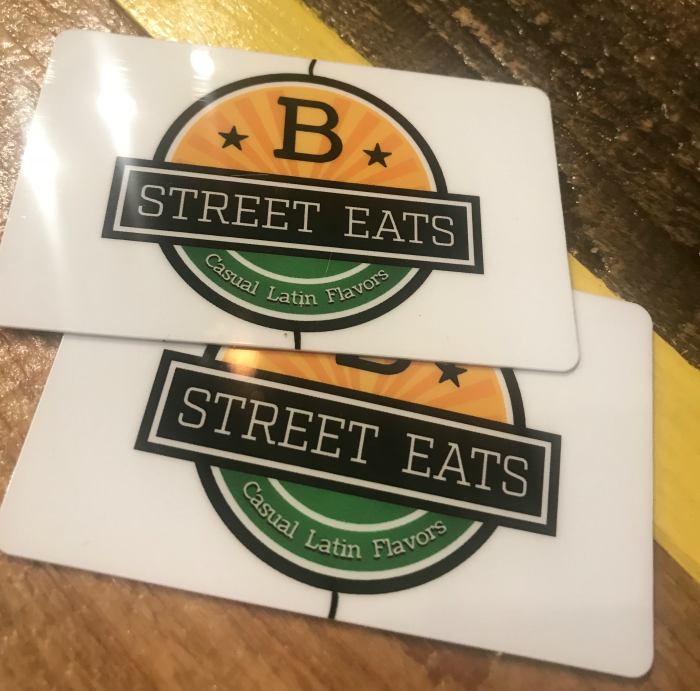 Overall, I am pretty pleased with B Street Eats! They definitely add some flavor to the already hip Murray Hill community. Everything that we tried was very flavorful and the location is fun! I look forward to trying more off of their menu and I’m sure you are as well so I will be giving away a $20 gift card for that very reason. Simply comment letting me know what you’d love to try and I will announce a winner via Instagram stories on Friday, December 8, 2017! I would try both of those sandwiches. I've never been to the St Augustine location so I'm glad there's going to be one so close. Those were my thoughts when I first heard they were moving to Jax! You're going to enjoy them!